After a day of record high temperatures in parts of Nebraska — the 91º F at North Platte set a new record high for the month of March, and was also the earliest temperature of 90º F or above on record at that site — a strong arctic cold front plunged southward across the state late in the day on 16 March 2015. With strong winds (gusting to 40-50 knots at some locations) in the wake of the frontal passage and dry vegetation fuels in place, GOES-13 3.9 µm shortwave IR images (above; click image to play animation) showed the “hot spot” signatures (black to yellow to red pixels) associated with a number of large grass fires that began to burn across the state. The strong northwesterly winds behind the cold front also lofted dry soil into the boundary layer, creating blowing dust whose hazy signature was evident on GOES-13 0.63 visible channel images (below; click image to play animation). Visibility was reduced to 7 miles at some locations. After sunset and into the pre-dawn hours on 17 March, a lee-side frontal gravity wave signature could be seen on GOES-13 6.5 µm water vapor channel images (below; click image to play animation). This warmer/drier (darker blue color enhancement) arc on the water vapor imagery followed the position of the surface cold front, which meant that the upward-propagating frontal gravity wave reached altitudes where the water vapor channel was sensing radiation. 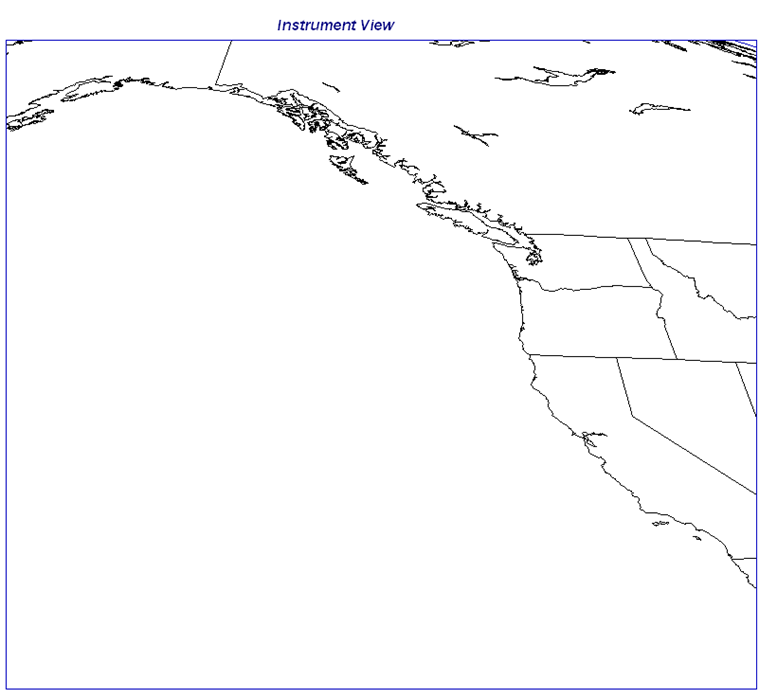 As the frontal gravity wave was approaching the Kansas/Oklahoma border region around 05 UTC, a pilot reported light to moderate turbulence at altitude of 6000 feet (below). The depth and altitude of the layer from which a particular water vapor channel is detecting radiation is shown by plotting its weighting function — for example, at North Platte, Nebraska (above), the Imager 6.5 µm plot (black) and the 7.0 µm plot (green) exhibited lower-altitude secondary peaks around the 500 hPa level — while farther to the south at Dodge City, Kansas (below) these 2 water vapor channel plots had their peaks located slightly higher in the atmosphere. Even though the bulk of the radiation was being detected from higher altitudes (due to the presence of moisture and cirrus clouds aloft over much of the southern Plains region), the sharp signal of the lower-altitude cold frontal gravity wave was strong enough to be seen in the deep layer average moisture brightness temperature depicted in the water vapor images. 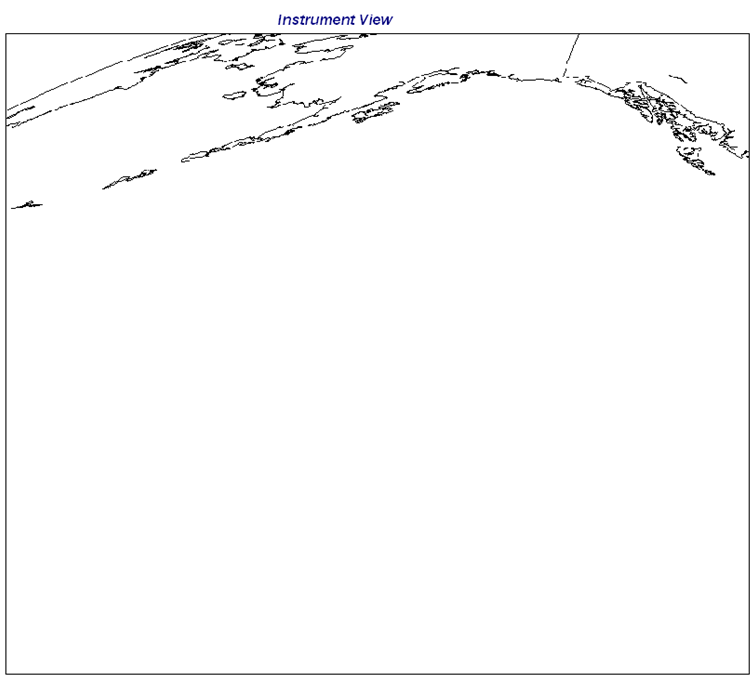 During a 4-hour period on 17 March 2015, NOAA/NESDIS conducted a test of two special GOES-15 (GOES-West) Rapid Scan Operations (RSO) sectors for the Alaska Region. From 16:00 to 18:00 UTC, the test was conducted for the “Sitka” sector (above) — and GOES-15 0.63 µm visible channel images over a portion of that sector (below; click image to play animation) showed the circulation of a mid-latitude cyclone that was producing gale force winds in the eastern portion of the Gulf of Alaska (IR image with surface analysis), as well as clusters of deep convection which were forming along an occluded front approaching from the south. Then from 18:00 to 20:00 UTC, the RSO test was conducted for the “TPARC” sector (above) — and GOES-15 0.63 µm visible channel images (below; click image to play animation) showed the circulation of two cyclones south of the Aleutian Islands, in addition to a large “banner cloud” and a few mountain waves which had formed downwind (to the north) of the rugged terrain of the Alaska Peninsula and the Aleutian Islands. GOES-15 IR brightness temperatures associated with the banner cloud were as cold as -65 C, which according to the nearby Bethel, Alaska rawinsonde data at 12 UTC corresponded to an altitude of around 27,700 feet (IR image with Bethel Skew-T and surface analysis). Regarding the Alaska Peninsula banner cloud seen on the GOES-15 visible images, a sequence of Terra/Aqua MODIS 11.0 µm and Suomi NPP VIIRS 11.45 µm IR images (below; click image to play animation) showed the evolution of this feature several hours before and after the RSO test. There were a few pilot reports of moderate turbulence, at altitudes as high as 36,000 feet – and some of these pilot reports specifically mentioned “MNT WAVE” in their remarks. The CLAVR-x POES AVHRR Cloud Top Height product (below; click image to play animation) indicated that the banner cloud reached heights of 9 km (darker green color enhancement).